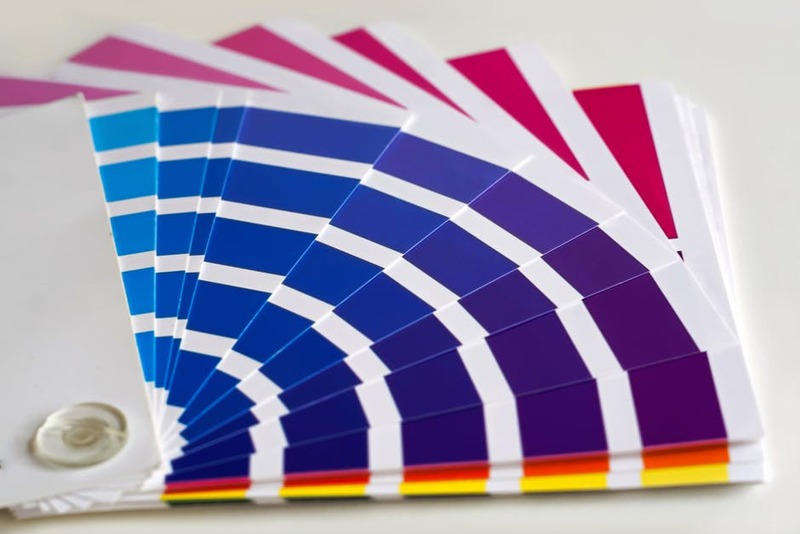 Picking paint colors for your home is a crucial part of how you will feel every time you walk into your house. I would say that’s pretty important! It’s the first thing people will notice entering your house as well. You want to feel good stepping foot into your house and making the right impression on your guests. Instead of going to the paint store and randomly picking a color, think it through! What is there to think about when picking colors? Plenty. And I’m going to share with you how to figure out what paint color will work best for the room or house you are painting! Finding inspiration for paint colors can be fun and easy! Pinterest is a life saver when it comes to looking at interior design inspiration. Scan through a search under “interior paint ideas” and you’ll be sure to find something you love! Look through old photos of vacations or pictures from artists you love. Within those pictures, what colors stand out to you the most? Which colors make you feel calm, happy, joyful, and relaxed? Document these colors. The best place to get inspired is in nature. All the beautiful natural colors of this world can be enough to help you find the colors you want to be surrounded by daily. Deciding a paint color most likely will be different for every room. The color you paint your office might be different than the color you paint your kitchen. You can’t go wrong with warm tones in a kitchen such as oranges and yellows. These colors stimulate appetite which is great for in a kitchen! Brighter colors like yellow will make a small kitchen look bigger too. Different colors can help with productivity, which is exactly what you want in an at home office! Research has shown that calming greens and blues enhance efficiency and focus. Red is said to inspire and increase heart rate and blood flow. Phycologists say that yellow is energetic and activates innovation. Any of these colors would help you to perform better in your office each day. Many people are looking for a spa like feel in the bathroom. Colors from nature always look amazing in a bathroom. Think shades of green, blue, tan, and brown. Clean and refreshing are also words that come to mind when thinking of a bathroom. Sticking to white and blue’s give a feeling of cleanliness. Better Homes & Gardens has a beautiful slide show of inspirations for bathroom colors. Bedrooms are a very personal space. You want to find colors you truly love that will work well with your personality and style. Extremely bright colors like red and yellow can be alarming. That doesn’t mean you can’t use them, I would suggest using them only on one wall. The bedroom is mainly a relaxing and calming space you want to easily be able to fall asleep in. Neutral and calming colors do best in this space! If you’re not someone who likes much color, gray or white are colors you can’t go wrong with! People are raving over gray walls with white baseboard and trim right now. You can easily add pops of color through home accessories. No matter what color you choose, make sure it’s a color you will absolutely love to see every day!